What could be a better excuse for a guys getaway? Why not a Myrtle Beach golf bachelor party! With everything that the Grand Strand has to offer, it’s the perfect destination to celebrate an upcoming wedding. Think about it: A Myrtle Beach golf bachelor party with golf during the day and fun in the evening on the town with plenty of nightlife to keep you parting till the wee hours of the morning. The next day? Why not do it all again? The choices are endless and a Myrtle Beach golf bachelor party is the perfect way to celebrate with your friends. At Myrtle Beach Golf Authority we can handle a Myrtle Beach golf bachelor party of any size. Have just a few guys that you want to bring with you? No problem. We have oceanfront condos that have plenty of amenities for when you are off the course. Have a large group of 20-30? We can handle that too! Perhaps a large 8-10 bedroom oceanfront house with a pool, hot tub, and game room are more your preference. Regardless of what your size and needs are, we have something for your Myrtle Beach golf bachelor party. 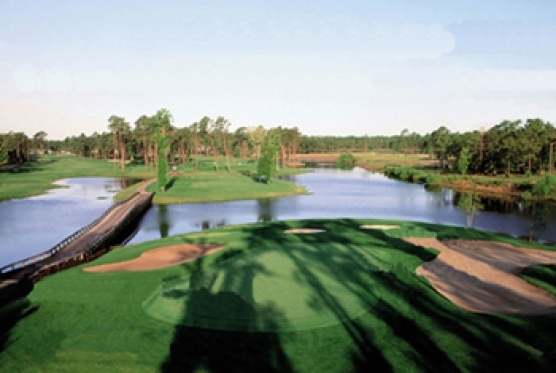 We will also find you the perfect courses to play during your Myrtle Beach golf bachelor party. Whether it’s just a quick weekend away where you play a course or two or if it’s a week in the area where you want to play as many courses as you can to make it the ultimate golfers getaway, we got you covered there too! Myrtle Beach golf bachelor parties are a great time for all involved – what could be better than the beach, golf and nightlife for a celebration. Call Myrtle Beach Golf Authority today and our golf specialists can help you plan the perfect Myrtle Beach golf bachelor party.